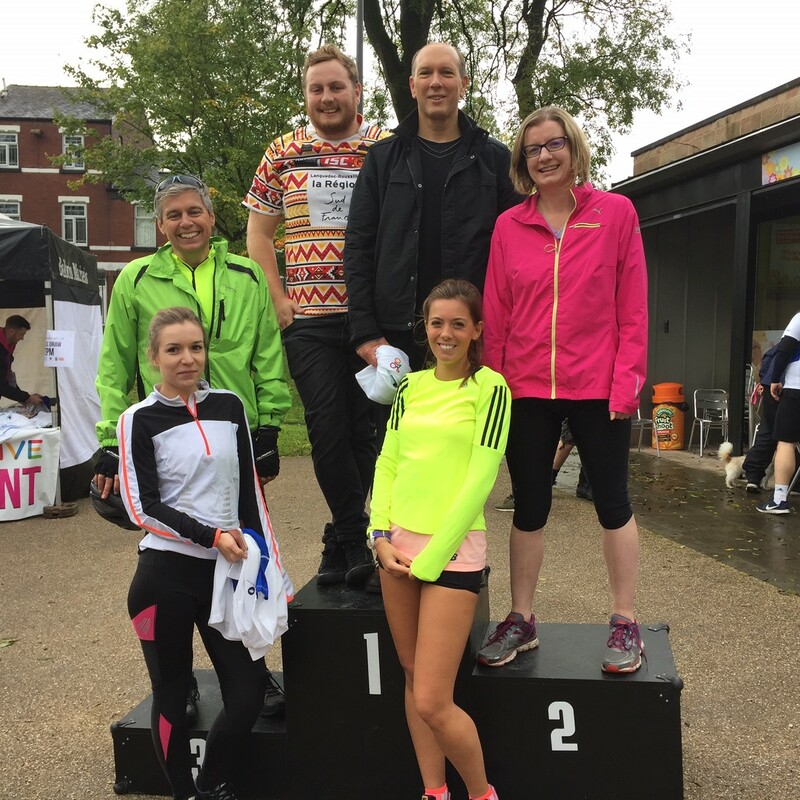 We had a fabulous morning yesterday at the Get Companies Active Triathlon Relay. It was a cold start, but Paul Leigh and David Kay swam their green swimming caps off (fortunately no photos!) at Bolton One. Despite David being held up behind a slower swimmer he pipped Paul to the post allowing Paul Burton to race ahead on his bike from Queens Park. Liz Artis set off a few minutes later and both put in a great effort up some steep hills, including Devonshire Road and Smithills Dean Road! Emma Woods’ head start for the run meant that Rebecca Kay couldn’t catch her, despite coming 2nd overall out of all the runners, and the fastest female. The Partner team came 11th out of 33 teams, ahead of the other team who we think came 21st. We are still waiting for the full results to be released so we can analyse them in preparation for next year – training starts again tomorrow!